First, prepare yourself for some Synge-Hutchinson genealogy! Coote Synge-Hutchinson (1832-1902) was a son of Francis Synge-Hutchinson (1802-1833) and Lady Louisa Frances Synge-Hutchinson. Coote Synge-Hutchinson's grandfather, Edward Synge-Hutchinson (1756-1846), was an Anglo-Irish baronet. 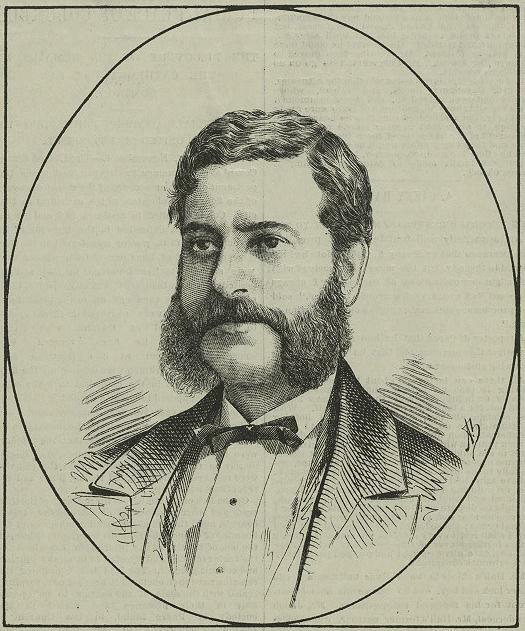 The baronetcy was inherited in 1846 by Coote Synge-Hutchinson's slightly older brother, Edward Synge-Hutchinson (1830-1906). Coote Synge-Hutchinson went into the British army, a common course for younger brothers not inheriting baronetcies. 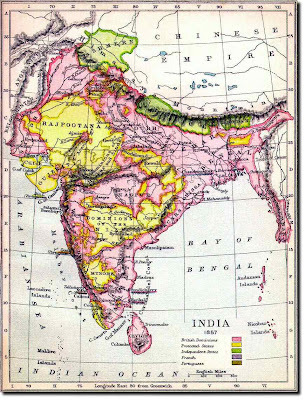 This action put him on a path toward momentous events in India in the 1850s. 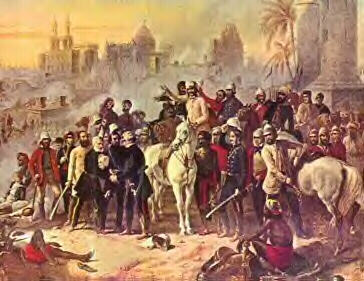 In his twenties as a Major in the Second Dragoon Guards Coote Synge-Hutchinson was awarded the Indian Mutiny Medal, with Lucknow clasp, for his service with the 2nd Dragoon Guards at the Siege of Lucknow during the Indian Rebellion of 1857 (located in northeastern India, Lucknow today is the capital city of the state of Uttar Pradesh). Eventually Coote Synge-Hutchinson was promoted to the rank of Lieutenant General. At the age of 56, long retired from bloody colonial contretemps, Coote Synge Hutchinson married Emily Charlotte Jecks, with whom two years later he produced a daughter, Haidee (1890-?). Haidee married and had a twin son and daughter, Patrick and Jean, in 1910. Five years ago, in 2007, family members sold Coote Synge-Hutchinson's Indian Mutiny Medal, along with a ribbon bar awarded to his nephew Major Edward Douglas Brown, at auction for 2128 pounds. 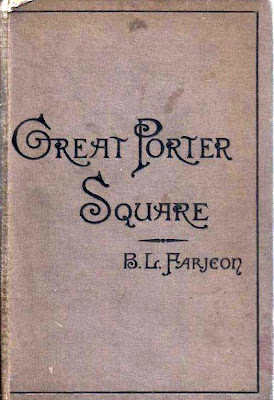 In 1885, a few years before Coote Synge-Hutchinson achieved the state of matrimony, a contemporary, the prolific author Benjamin Leopold Farjeon (1838-1903), published Great Porter Square: A Mystery, one of his most popular books. 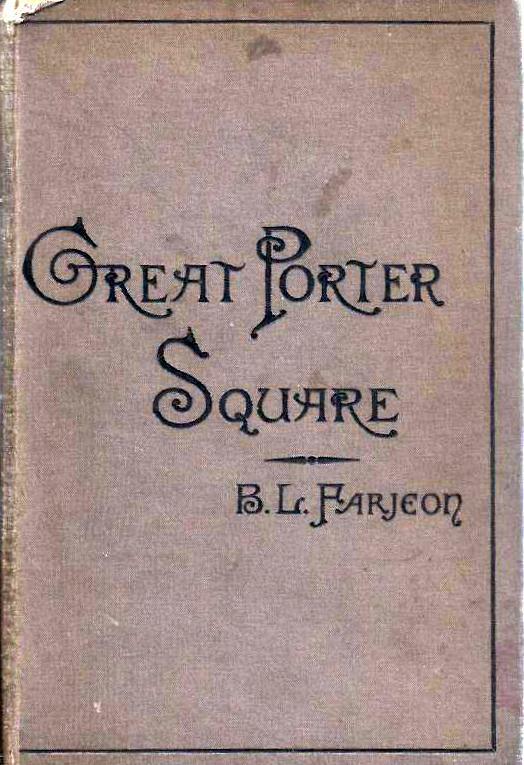 Farjeon himself called the novel "my first great success in sensational fiction." In my view this perhaps is not the greatest recipe for higher artistic success in a murder mystery. Apparently neither was it for Lieutenant-General Coote Synge-Hutchinson, as we shall most definitely see! Benjamin Farjeon was described in The Author in 1891 as "below the medium height, with a jolly, round face and small side-whiskers." Farjeon was a loving, open-hearted family man with a wife, daughter of the American actor Joseph Jefferson, and four delightful, precocious children: Harry, Joe (future Golden Age thriller writer, as readers of this blog will know--see here), Nelly (future children's author) and Bertie. He also was, one surmises, though a staunch royalist somewhat politically liberal for the day (certainly he was much concerned with the plight of the poor). All in all, no doubt a wonderful fellow, the best one could expect of a family man at the height of the Victorian age. Those side whiskers look rather large to me! 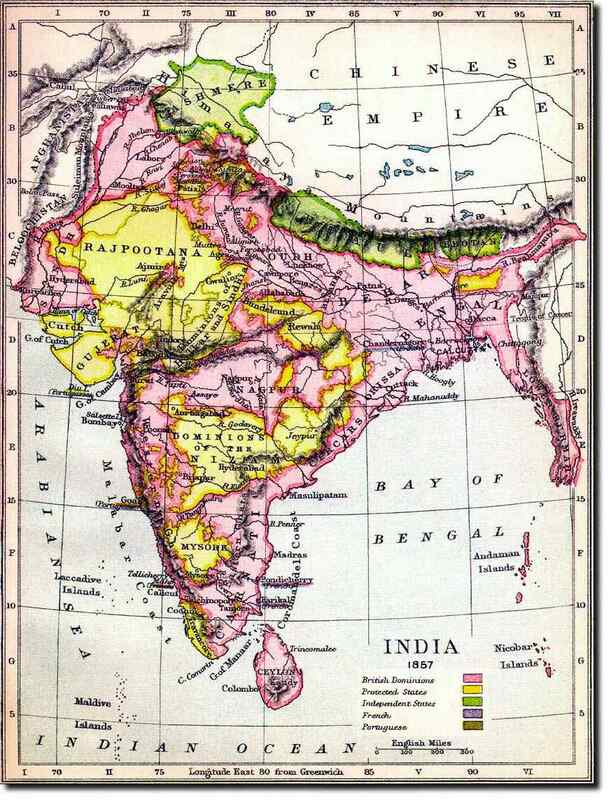 Was Coote Synge-Hutchinson more the choleric, conservative, intolerant and imperious ex-Indian army man, so familiar a fictional stereotype to generations of Agatha Christie readers ("Major Porter, late Indian army, rustled his newspaper and cleared his throat. Everyone avoided his eye, but it was no use....")? I do hope to learn more about Coote Synge-Hutchinson someday; but in the meantime we must judge the man by his fascinating marginalia in his copy of Great Porter Square. For this, please return for our second installment (coming soon!). I never thought to do a post on marginalia. I have several detective novels that were originally owned by Henry Van Dyke, poet and literature professor at Princeton during the early 20th century. A copy of THE CLUE IN THE AIR I own has a few of Van Dyke's handwritten notes about how he arrived at his solution to Ostrander's mystery. Looking forward to the pencilled criticisms in GREAT PORTER SQUARE. Judging by that "Bosh!" I guess he didn't like much of the story. That's fascinating about Van Dyke, John. I'm always interested in the matter of just who was reading these books and what they thought of them. Especially "lay readers" because we didn't have amazon and goodreads in those days for everyone to tell what they think!